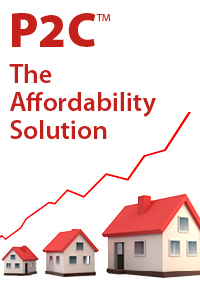 "No clawbacks on upfront commissions and full trail payable from the start of the loan, with no volume hurdles". Whilst large institutions finesse their distribution models, positioning and repositioning in relation to the extent to which they support the third party channel through commission payments, La Trobe Financial remains completely committed to a fair and stable commission structure without ever needing to claw payments back. La Trobe Financial understands both the importance of mortgage brokers providing financial assistance to everyday Australian borrowers, as well as their effectiveness in doing so. It is mortgage brokers who assist those the major institutions turn away, finding an alternative lender such as La Trobe Financial to serve this very important sector which comprises the self-employed, new Australians and those who have experienced a life event. 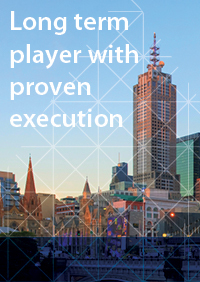 The highly effective role of brokers is why we source 100% of our origination from brokers. We don’t compete with brokers with an internal distribution channel. We are reliant on and committed to brokers’ success and growth and we value them appropriately. And we do this with confidence because only brokers can complete the picture in meeting the ever growing consumer trend towards increased service along side of increased competition. This ensures brokers’ ongoing strength and growth. And is a value position shared with La Trobe Financial: simple, transparent products and commission structures and high, personalised service levels. Given these fundamental benefits for brokers, it shouldn’t take headline figures showing that mortgage brokers now account for 50% of the Australian home loan market to get mainstream lenders motivated to show their support of the third party channel. This eternal “on/off” approach from mainstream banks as to their perceived need for the third party channel has of course motivated brokers to seek non-bank and specialist lenders who will truly embrace their needs and value their support over the long term. This is an important shift for mortgage brokers to make because, notwithstanding the relevance of brokers outlined above, it is clear the major banks have the pricing and balance sheet power and the technology to significantly hurt the third party channel in the longer term and under certain market conditions; many brokers will remember the aftermath of the GFC. By using alternative lenders who are committed to the third party channel, mortgage brokers are ensuring their longevity and ironically that the banks will continue to work with them. Banks may presently provide the dominant volumes for many brokers, but proving that the best models for brokers are possible and are sustainable is a key contribution of the smaller, independent lenders who have always brought competition to the marketplace. Now more than ever, brokers are earning the commission they receive following the introduction of the National Consumer Credit Code and responsible lending guidelines. There has been a significant increase in the amount of pre-submission checks and paperwork a broker is required to complete prior to submitting a loan to a lender, and in some cases, it will be determined there are no suitable options for that applicant. It is for this very reason that clawbacks are also so detrimental to mortgage brokers. Much of a broker’s working day is allocated to preparing fact finds, researching lenders products, making recommendations and packaging loan submission. So to do this work, get paid for it, only to have it clawed back because the borrower decided to move their loan elsewhere, means the broker’s time spent on that particular file has been wasted, and the opportunity to have worked on another loan has long gone. For all the above reasons, we view the recent progressive introduction of trail from day one by two of the four major banks as well-overdue and absolutely appropriate to reflect the work done by brokers. Why should a broker wait a year to be paid if the banks are booking profit on day one? Combine this with clawbacks on upfront payments and it is little wonder the majors are reporting record profits. It will be interesting to see what the remaining banks will do in response. Will they stick to their guns, or rightfully pass on trail to brokers in year one? From our view of the world it remains to be seen whether the banks rewarding of brokers, currently waxing under strong competition, is sustainable when the need for brokers to maintain market share is not felt so keenly. 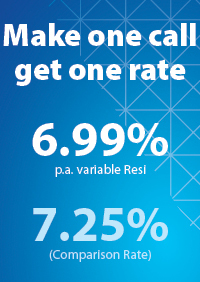 If history is anything to go by brokers should not expect the best reward models to always be maintained by the banks. 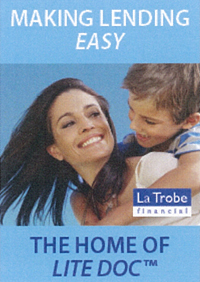 La Trobe Financial has been actively working with, and relying on mortgage brokers for more than six decades. We do not have a large branch network or the distribution strength of the major players so rely on the third party channel for the origination of our loans and place a high value on this. With this reliance, comes an understanding of the mortgage broker business model, and what is required to ensure its sustainability and profitability for many years to come. 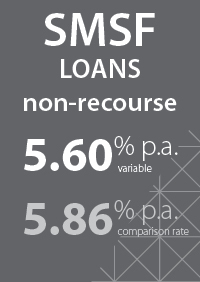 We have one of the broadest product suites in the market and can offer a suitable alternative to the major banks, with commission paid on day 1 and no clawbacks. Speak to one of our Senior Managers Client Partnerships today to ensure your income is immediately protected.